Taste and quality of our products have been appreciated for over 35 years. We are constantly improving our products to get the highest quality standards. 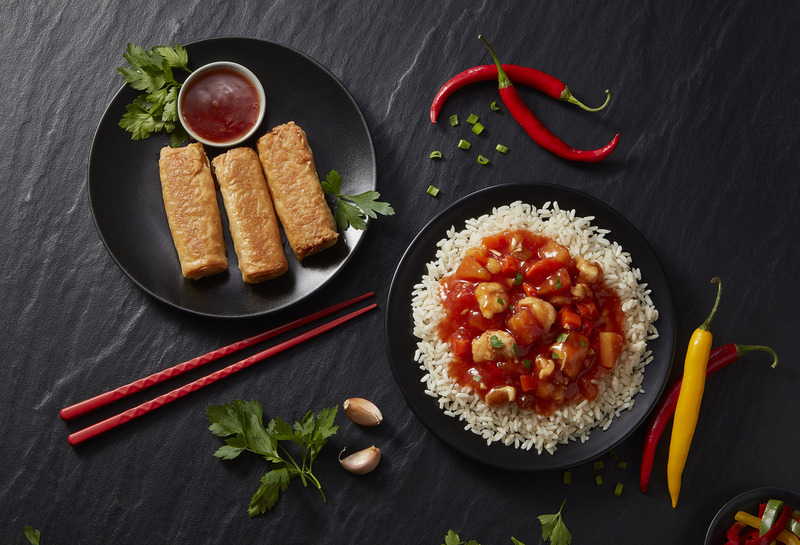 Our dumplings, croquettes and ready meals are probably the best on the market. Delicate pasta-like dough with a meat filling. 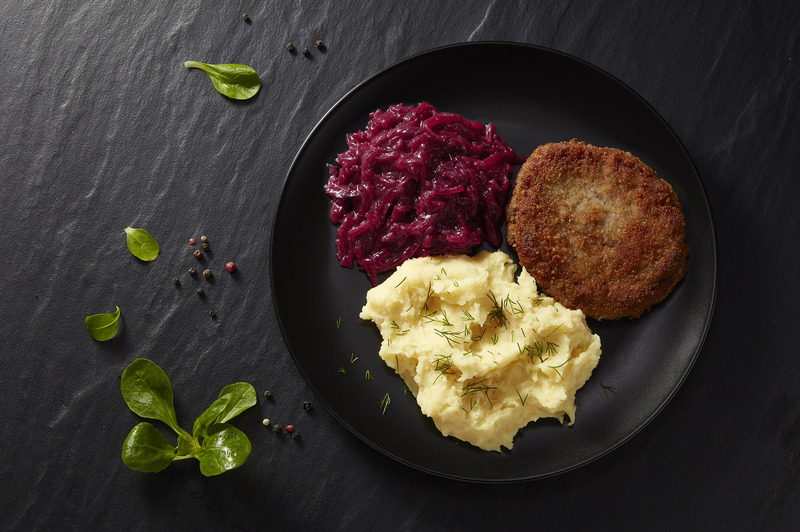 The perfect combination for connoisseurs of traditional Polish cuisine. 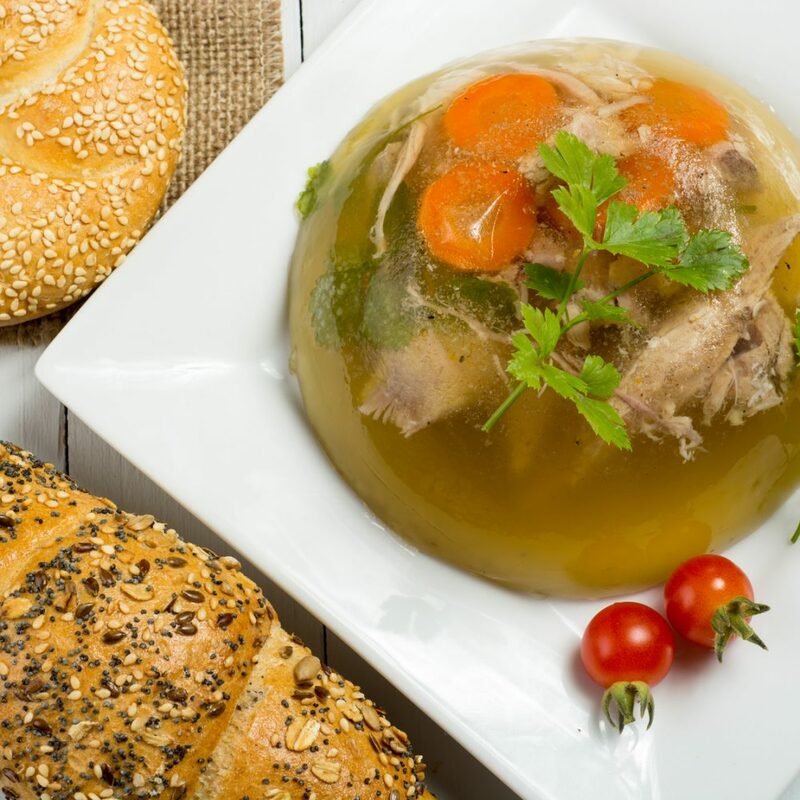 Tasty and filling, will satisfy even the most demanding palate. 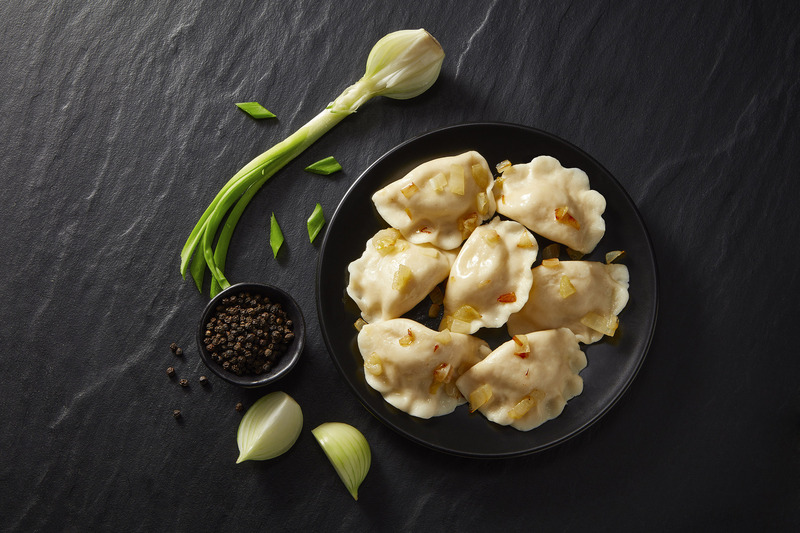 Soft, pasta-like dough and a tasty filling will open your eyes to this extraordinary, traditional Polish cuisine. 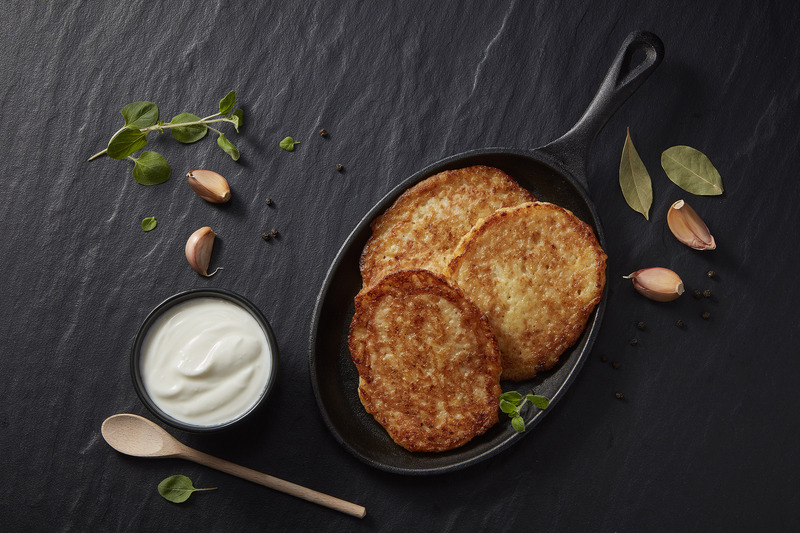 Prepared according to our own recipe, developed over many years and made of the highest quality white cheese and home-made fried onions. Penne, cooked al dente, with juicy cuts of chicken in a subtly seasoned cream and spinach sauce this is a perfect combination for lovers of Italian cuisine. 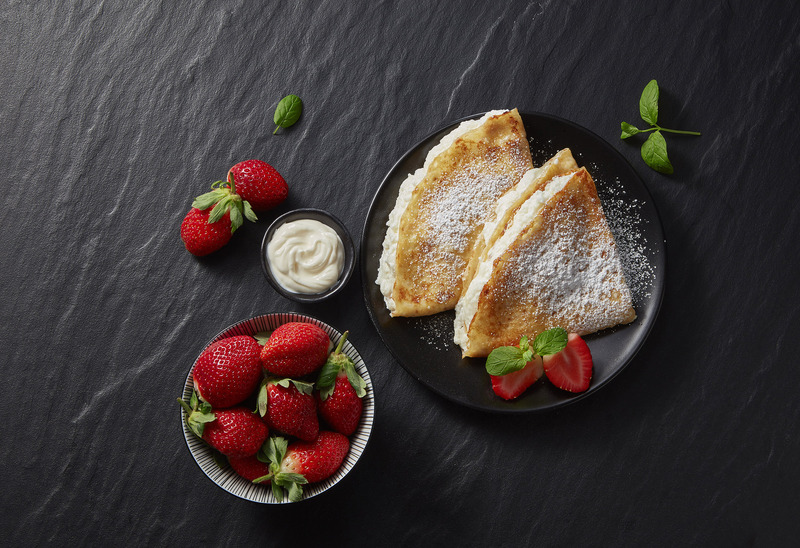 The dish is prepared using highest quality ingredients with no prese rvatives. Juicy chicken pieces combined with tasty penne pasta from wheat, an interesting composition for lovers of original taste. This composition is completed with a paprika cream sauce and spices. We are proud to announce that U Jędrusia was a partner Produktowym leading Bundesliga club Borussia Dortmund. Under the agreement signed for the upcoming football season, as a Partner Product we will promote the stadium Signal Iduna Park its products in created specifically for the German market brand Krupiński – Polnische Spezialitäten. The contract authorizes m. In. 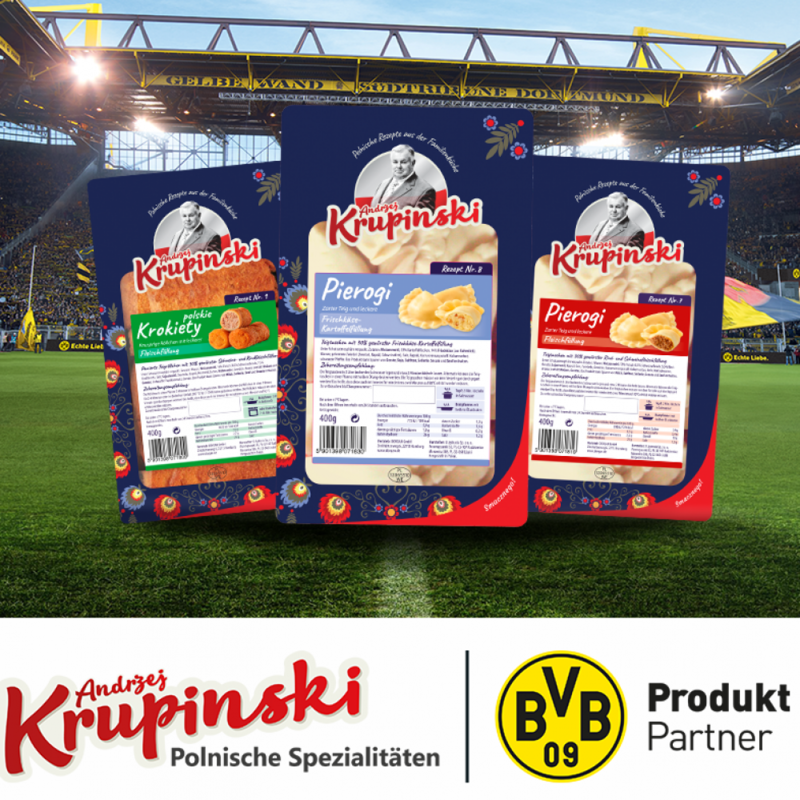 for sale in the hall of the stadium Borussia Dortmund selected brand products Krupiński – Polnische Spezialitäten, so that every fan will be able to know and love Polish delicacies. 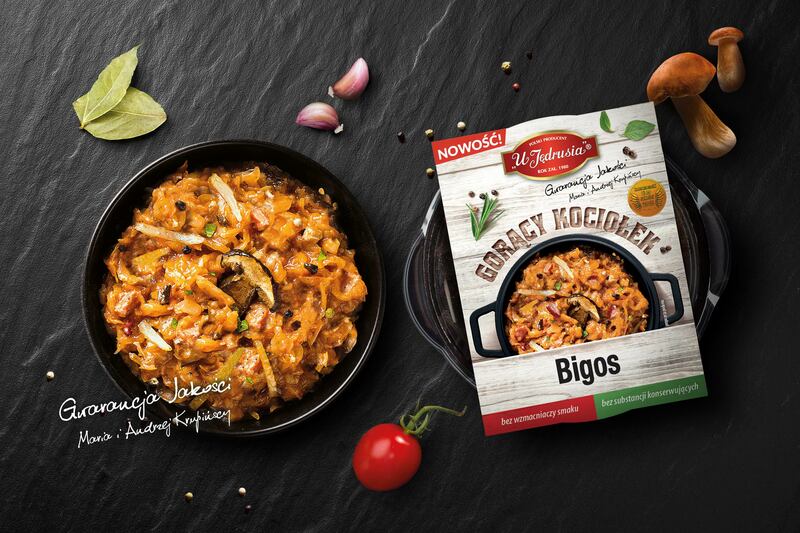 Products Krupiński – Polnische Spezialitäten are now available in German retail chains: Rewe, Kaufland, Edeka and Buenting, and soon plans further dynamic growth of sales in the German market.